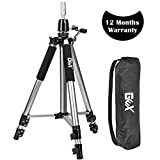 Hope you enjoy this professional stand, this tripod is with 1-YEAR Warranty. Please feel free to contact us if you have any problem. GEX HEAVY DUTY tripod stand is made of aluminum alloy, which is much more reliable and also lighter. We choose THE BEST material-Aluminum Alloy. The material make this tripod much more reliable than any other in the market. This is HIGH QUALITY stand. We upgrade the tripod top base to metal (not plastic) and it would hold mannequin head very well. 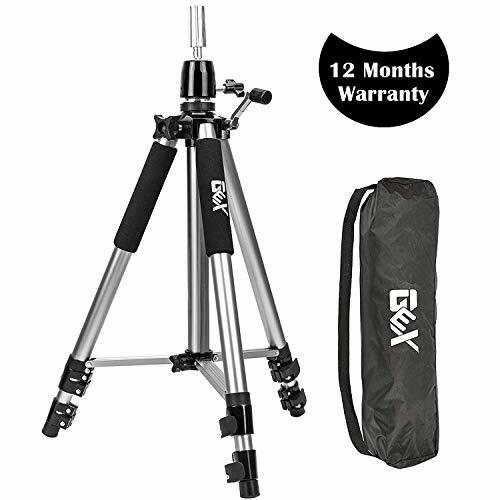 GEX Tripod comes with a bag and 1-Year Warranty,please contact us if you have any issue.